La Flora Organics hand made, cruelty-free and vegan soap nourishes your skin and keeps it soft and supple.This Cold Process hand made soap is enriched with natural ingredients and the goodness of natural Glycerine. Papaya is the best fruit for skin care as its loaded with skin brightening & skin firming Papain & antioxidant Vitamin A. 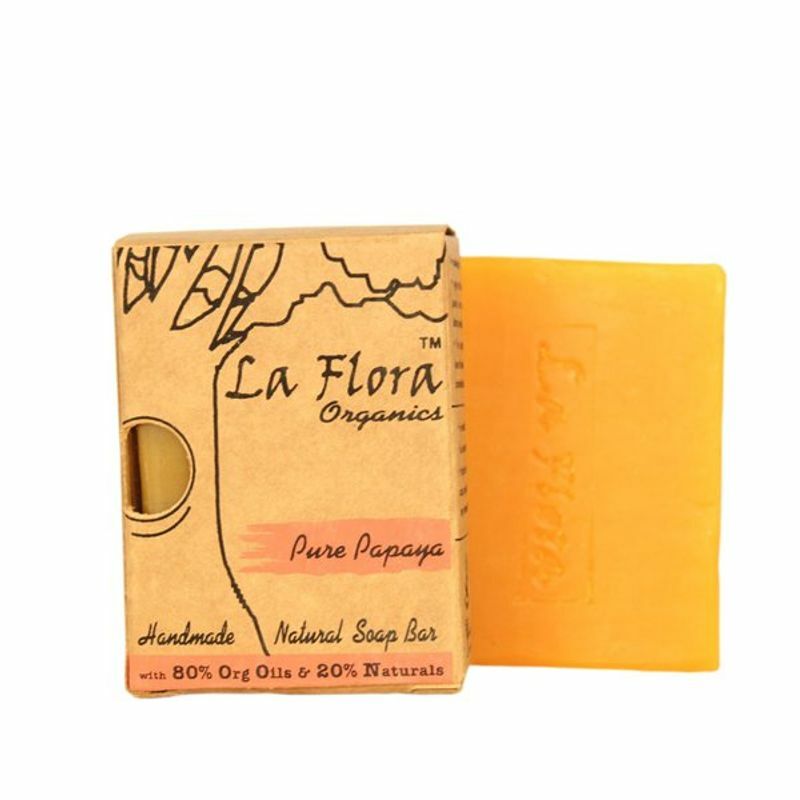 Handmade using Organic Veg oils like Coconut Oil ,Olive Oil & Sunflower oil that will nourish ,moisturise your skin .This soap bar with essentials oils and natural ingredients gives you radiant complexion.